In the widely circulated daily Yedioth Anronoth, Rubel added, “We have a screwed-up government … and the police are total idiots.” “People in Israel find it strange to see an Ethiopian woman who behaves like an Israeli,” she said. Rubel’s recent comments, in part, stem from a new Israeli program forcing thousands of African immigrants out of the country. The United Nations called on Israel to scrap this program, condemning it as incoherent and unsafe. This “scheme,” as the UK-based Guardian newspaper called it, “has led to thousands of people being offered $3,500 and a plane ticket if they leave the country by March” with a warning that they face arrest and indefinite detention after the deadline. 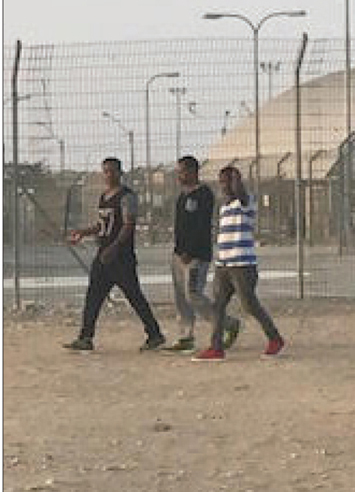 Israel is home to roughly 40,000 asylum seekers, including 27,500 Eritrean and 7,800 Sudanese asylum seekers, the UN refugee agency reported. Israeli Prime Minister Benjamin Netanyahu insisted the move against asylum seekers, who he referred to as “infiltrators,” would help the country “guard its borders,” reported Al-Jazeera. “The infiltrators have a clear choice—cooperate with us and leave voluntarily, respectively, humanely and legally, or we will have to use other tools at our disposal, which are also according to the law,” Mr. Netanyahu said. Mr. Netanyahu, according to Haaretz, is looking into an alternative plan focusing on forced deportation over indefinite incarceration of asylum seekers. Many refugees say they’d opt for incarceration over leaving. Israelis would then face a serious financial burden and space shortages in state prisons. Netanyahu declared “we are on a mission to give back south Tel Aviv to the Israel residents.” The area, he said, has seen an influx of African migrants and been taken over by “illegal infiltrators.” Because of migrants, Tel Aviv residents are pained and under “terrible distress,” he declared. It’s “the right of the state of Israel to maintain its borders and to remove illegal infiltrators from it,” said the Israeli prime minister. “International law says that if you are a refugee from a country that’s at war or war torn, you can’t send that person back,” said Marc Lamont Hill, author, activist and professor of media studies and urban education at Philadelphia’s Temple University. During an exclusive interview with The Final Call, Mr. Hill, who is also an anthropologist and working on a master’s degree in Middle East studies, was critical of Israel’s claim to be the region’s only democracy and at the same time limit refugees seeking asylum, especially those from African countries. Mr. Hill, who has spent considerable time visiting refugee camps inside of Israel, said Israeli officials are careful not to refer to asylum seekers as refugees. They are referred to as “infiltrators” or “invaders,” he said. That may be changing, according to the online publication theGrio.com: “A Kenyan citizen and Jewish convert Yehudah Kimani was deported recently, hours after he had arrived in Israel on a visa to study at a yeshiva. The updated version of Israel’s controversial Nationality Law disrupts the claim of Israel’s two principal features, being Jewish and democratic. It provides cover to legally sanction efforts to bolster Israel’s Jewish identity at the expense of others, including equal and lawful treatment of minorities. This includes relegating the Arabic language, spoken by 1.8 million Arabs and a quarter of Israel’s population, to “a special status” as a minority language, and upgrading Hebrew as the country’s sole official language, reported the Israeli daily Hamodia. Having visited Holot detention facility in the Negav Desert, in Israel, Mr. Hill said, “Many of them (when entering Israel) go to downtown Tel Aviv trying to find work, trying to find jobs to survive. And soon after they get picked up and taken to these camps.” But it’s not like a “traditional camp, but more like a military base,” he explained. “And when you go there, and I’ve asked these brothers and they say uniformly this feels like prison. They have a time to show up, they got a time to leave. They can walk off base, but they can’t go far. The state pays them 12 shekels a day, about $3. So, what they typically do is pool their money and try and eat together because they’re not given enough money to purchase an adequate meal,” said Mr. Hill. He believes Israel is about the business of “cleansing the country of Black and Brown folk, of Muslims and of course most importantly of Palestinians.” This is what the “settlement expansion is about. That is what the deportations is about,” Mr. Hill said. He said what they also are banking on “is our divisions.” Since there is no “united Africa, no United States of Africa, no unified African body, they feel like they can dismiss Eritrean and Sudanese folk,” and the rest of Africa won’t raise a finger to come to their defense, he added. Inspired by Anne Frank, a Jewish girl hidden from Nazis during WWII, some Israeli rabbis are planning to hide African asylum seekers facing deportation. 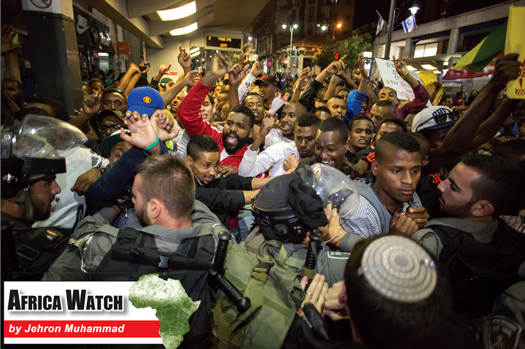 “A group of Israeli rabbis,” reported Haaretz, including the sister of comedian Sarah Silverman, launched an activist program, which has gone viral, calling on Israelis to hide African asylum seekers facing expulsion. 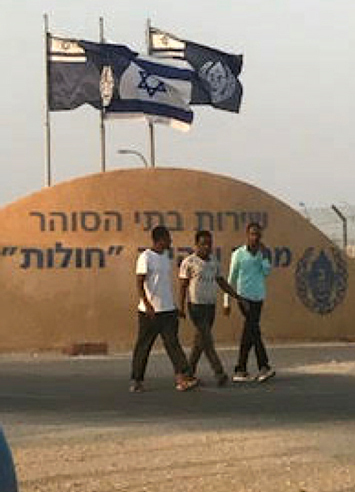 Between 2009 and 2016, Israel granted official refugee status to 0.07 percent of all its Sudanese and Eritrean asylum seekers, a total of four people.